Sunday…..freezing rain on the way. Unlike the welcomed rains of summer winter rain is NOT so welcomed in this neck of the woods. So a quick post as we need to get the “VARMITS” ready for the weather coming. 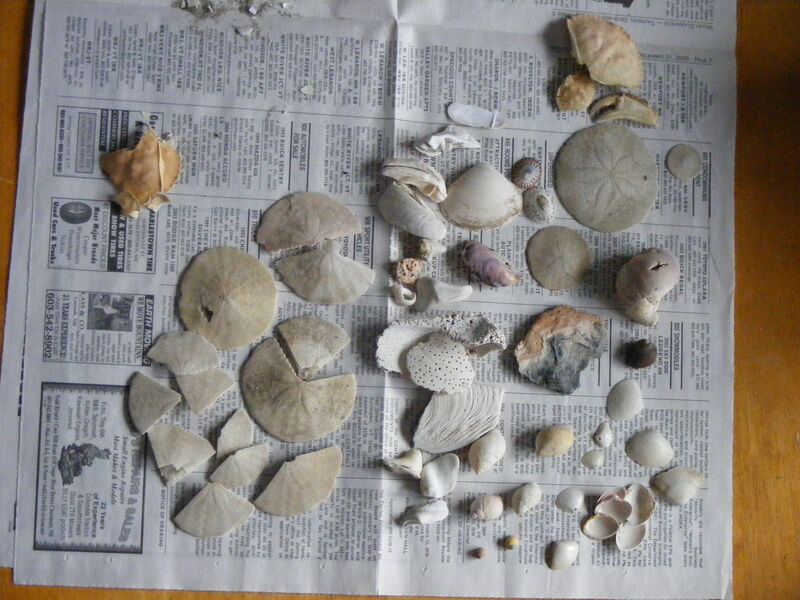 These shells we collected on our honeymoon to maine, today we are dreaming of those warm days at the beach……please join us! Enjoy.